Mazda hit on a great formula for the MX5: 1) Keep it simple 2) Stick to some well known principles that work and 3) Continuously improve everything in little ways. 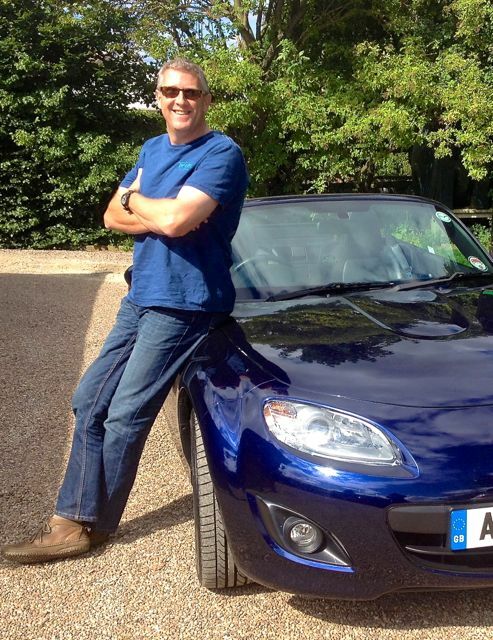 It worked a treat because the MX5 is great fun to drive and with a reliability record that shames expensive makes such as Porsche and BMW. It’s become the most popular sportscar in the World. What’s all this got to do with dog training? It’s that those three principles are at the heart of the Dogfather way of dog training in a nutshell. Dogs and people respond to simple things that work. Everything we do here is based on sound scientific principles and we’re always looking for better ways of doing things. In fact, lots of small incremental changes often add up to a big difference. That’s the same whether we’re talking about the effort you put into training your dog or the care we take in continuously improving our systems to help you do it. As for my mid life crisis, I’m beginning to think it may be true because the MX5 was such a great choice, it’s actually very sensible. Sensible, for goodness sake! Oh I didn’t notice that creeping up on me. Bah!